This is one of the most requested posts here on MSM! 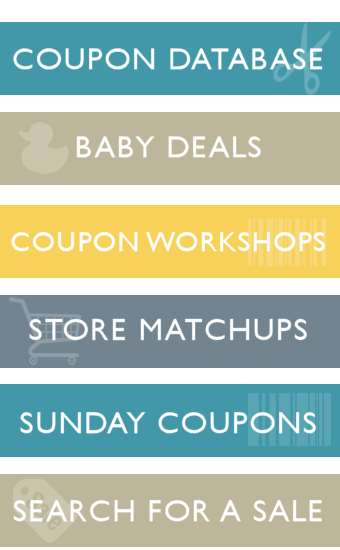 So I thought I would post the link to it- be sure to check out the baby printable coupon round up too! I was wondering what a good price is to pay for each diaper? I read all of your guide, thank you!! But, I was wondering what a good deal really meant. So, the Harris Teeter one running right now with the coupon and the ibotta making each pack $6.74 making the diapers probably around $0.26 per diaper. If I got the same diapers at Bj’s, just in the box, with the same coupons and rebates the price per diaper would be around $0.23 per diaper. Just trying to figure it out now before I get into stocking up! Thank you for all you do! I try to spend $0.15 per diaper or less or abut $2 per jumbo pack. Hi, Jessie – My granddaughter has two of four children (both boys) that are in diapers so $0.15 per diaper sounds really good to me. She lives in Florida. I am just beginning to seriously begin couponing and am trying to save $$ as we are retired and of course on a fixed income. Although diapers are something that of course I don’t personally need, I wondered if you could explain how and where to find this type of deal on diapers. Thank you so much for all you do. I can’t imagine how much time you spend helping everyone, but yous are awesome. I believe you have a class on couponing??? I would love to sit in on it sometime if it is near Charlotte, NC. Do you have a recommendation for Pullups/Easyups pricing?